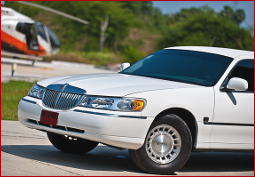 Toronto Airport Limo carries only New and Luxury vehicles. Toronto airport limo covers all the areas in Ontario which will be Pearson Airport, Toronto Island Airport, Private Airport FBO's and all GTA. 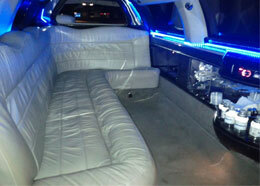 Toronto airport Limo understand that time and comfort is the most important part for our client's needs. We have professional and trained staff from the time you call and the time the driver drops you off to the destination. Our Toronto Airport Rates are competitive with the industry. 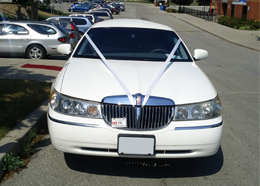 Once you use Toronto Airport Limo you will be glad that you did. We strive for your business and return we give our 100% service. Our fleet has Sedans, Limousines, SUV's, Limo Bus and Vans. Our fully accessible scheduled service operates 24 hours a day, 7 days a week, 365 days a year. Toronto Airport limo professional service is always there to provide our client ground transportation needs. Our customer with the aim of making your journey to and from the airport a comfortable one. Our drivers are polite, courteous and helpful. Our vehicles are clean, modern and air conditioned. Our prices are very competitive. Toronto Airport Limousine are committed to Quality rather than Quantity in our service to ensure each of our clients receives a top class service. We consistently exceed our clients 'expectations and provide outstanding service. Offering great service and affordable prices is what we aim to do. So the next time you are looking to reserve a limo with quality service in mind is sure to look at Toronto Airport Limo as your number one priority at having the right job done. You will be satisfied with our ability to offer top service, with our professional limo drivers at price range that is great for you. Flexibility is our first priority for our clients. And to make your life even simpler, we offer special rates and customized billing for our clients. Over the past many years we have consistently improved upon our service and we believe our service and fleet to be unmatched by our competitors. The superb fleets of vehicles are all new and updated regularly. Toronto Airport Limo values each client & we are trained to understand your needs and are committed to customize our services to fit your requirements. Copyright © 2013 Toronto Airport Limousine. All Right Reserved.